If you visit the herb section in your local garden centre, you might be amazed and a little overwhelmed by the endless varieties to choose from. There is a different type of mint for every occasion, thyme comes in all different sizes and flavours and you’ll probably spot a few you haven’t even heard of before. It’s easy to come home with armfuls of herbs only to plant them up and never make the most of them… Or you might make the mistake of planting mint directly in the garden, only to find that is all that is left standing the following year and you have enough mint for your entire street! More on that later! What do you want to get from your herb garden? 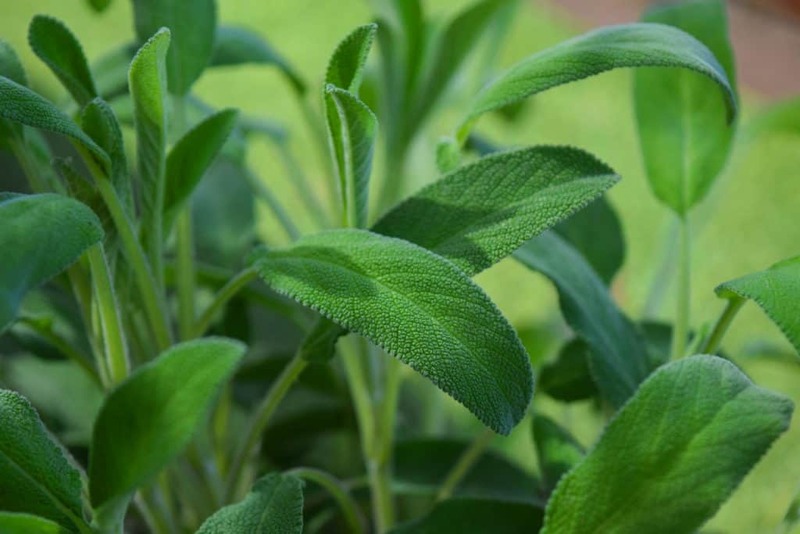 Are you looking for useful herbs for the kitchen? Or perhaps you would like to use them for alternative medicinal purposes? Maybe you just like their different smells wafting through the air as you brush past? 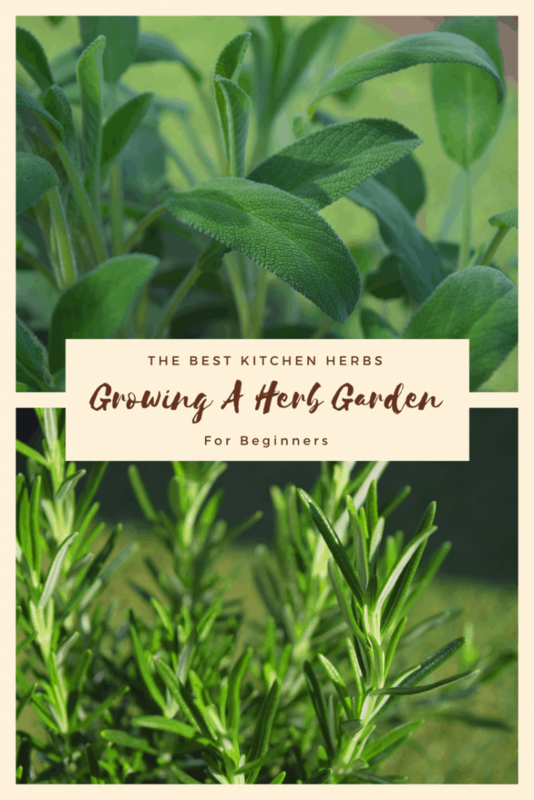 If you are a herb beginner, lets start with some easy and very useful herbs to get you going and you can go and grow from there! Rosemary is one of my all time favourite herbs in the kitchen. I use it in so many different recipes, such as this focaccia bread. But, it’s also great with roast potatoes, flavouring steaks, chicken recipes and so many more. It has been used for years to ease headaches and strengthen memory. 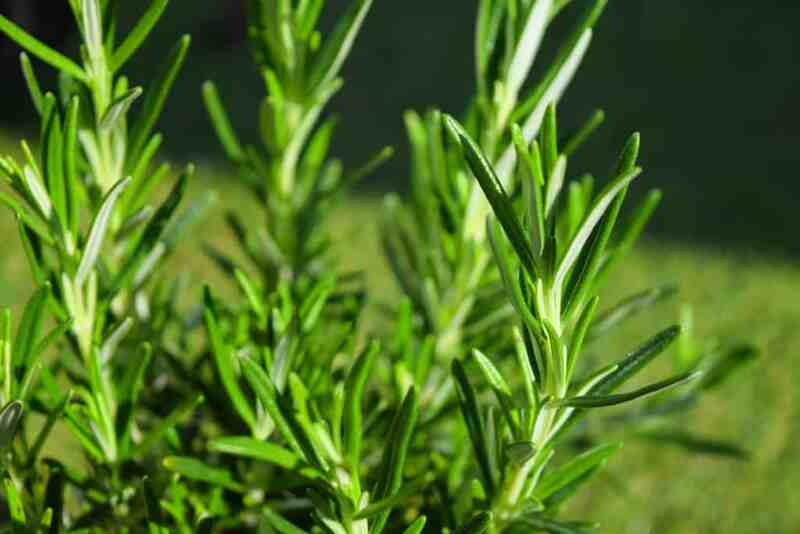 Rosemary is evergreen, so you can use it fresh all year long (be careful about picking too much from a juvenile plant or one that has yet to become established. 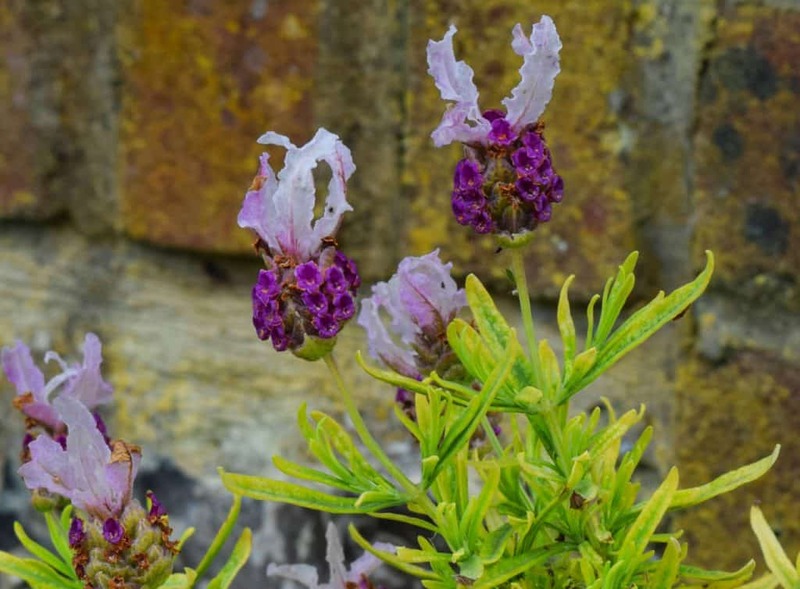 Rosemary is pretty hardy, but doesn’t particularly like the frost, so grow it in a pot that you can move indoors during particularly cold winters. Don’t over water rosemary, they do better in drier soil. Planting in terracotta pots will help the soil dry out quicker, providing the best condition for your herb. Another strong favourite of mine is sage. I love to use it to flavour chicken like this recipe or add it to soups to deepen the flavour. It has been used for over 2000 years to cure all manner of ills, mixing it in boiling water with honey and a pinch of cayenne pepper creates a gargle to use for a sore throat. Sage thrives in similar conditions to rosemary and prefers being in the sun for the best part of the day. It does take a while to grow and establish itself so be patient or buy a bigger, more established plant and you can start harvesting your herb a little earlier. When you think of basil, you may usually relate it to Italian Pizza and Pasta Dishes, like this pesto But it can also be used in breads and even desserts. Steeped in boiling water, the stalks and leaves provide a relief from mild nausea. This leafy green herb endured years of verbal abuse from the Ancient Greeks and Romans.They believed it was essential to shout abuse at a plant of basil to ensure it grew strong and healthy. Thankfully you don’t need to do this. 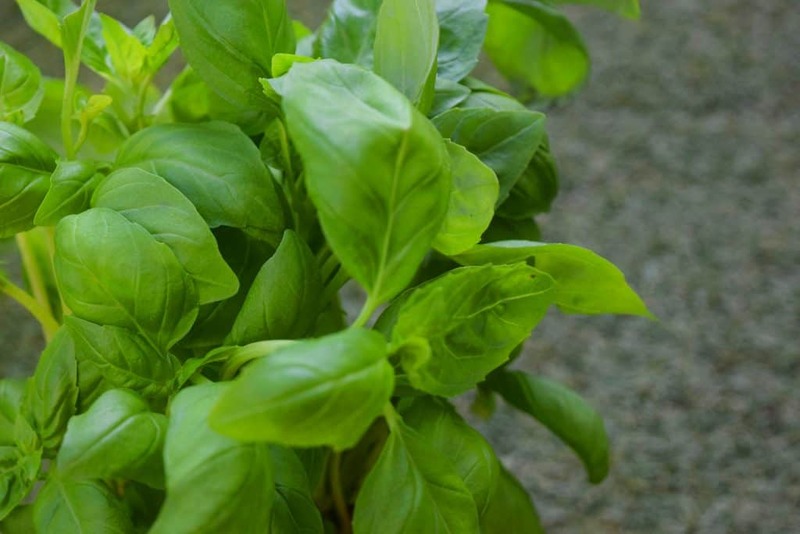 Basil is a faster growing herb than the previous two on the list and can be sown from seed. Be aware it’s a delicate plant and should only be planted outside in the summer. However, you can keep basil indoors all summer long and it will be fine. Basil likes a moist soil, so it will need watering more than sage or rosemary do. There are endless varieties of Thyme available. But, it’s a good idea to start with simple English Thyme as a beginner. I like to use Thyme to flavour roast pork. You can also add it to soups, chicken dishes and roast vegetables. Thyme has been used in the past to treat coughs, with the leaves being ground down, mixed with honey and taken when needed. Thyme seeds are slow to germinate and can be quite tricky, so it’s best to buy a plant. 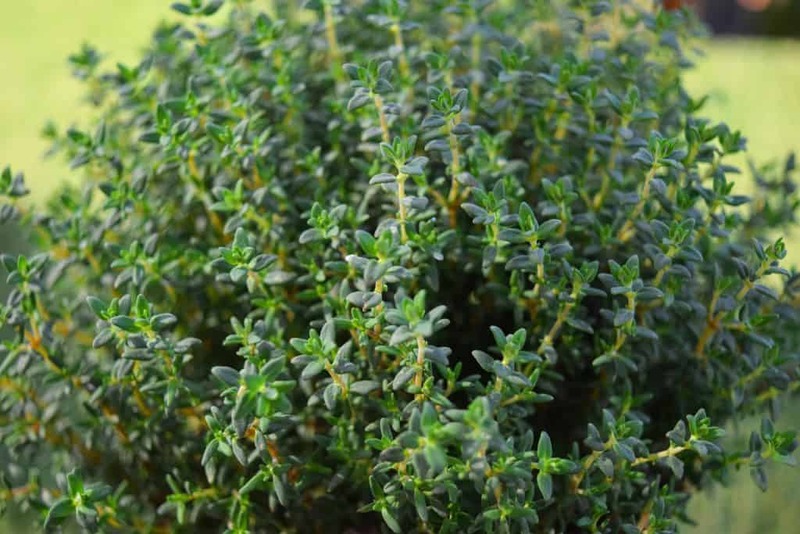 It prefers poor, dry soil, so if you are prone to neglecting your plants, then choose Thyme. As I mentioned before, there are many, many different varieties of mint you may come across. Each with a slightly different smell and flavour. 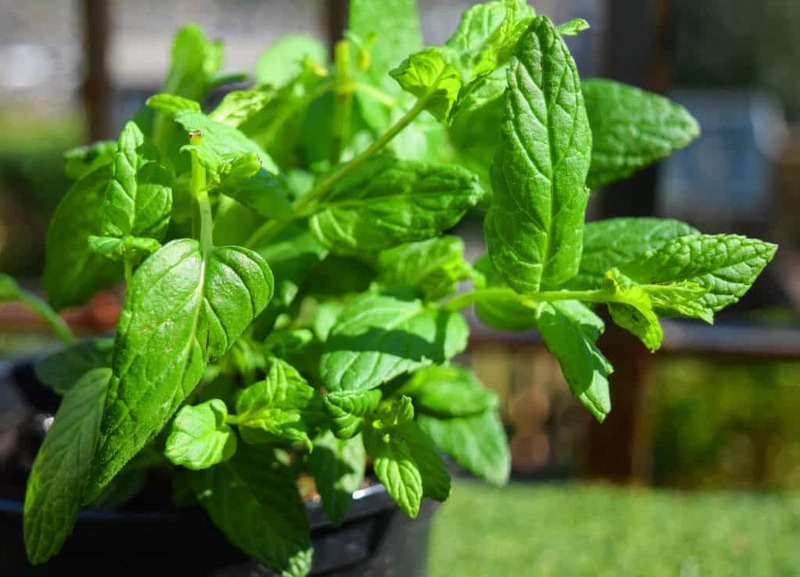 Mint can be used in recipes from drinks and desserts to potato salad or served with lamb. The leaves can be steeps in boiling water to make a tea and sipped slowly to settle the stomach. Mint is a great beginner plant, since it is fast growing and easy. That said, be aware of it’s invasive nature. Mint will quickly take over an entire bed and beyond, should you allow it the freedom to. Always plant mint in a pot or a container sunk into the ground. This will prevent it’s roots from spreading far and wide. Whilst lavender isn’t used for many culinary dishes. You can use it to delicately fragrance shortbread or used as an infusion to flavour sugar or milk for baking. It has a strong flavour so use it sparingly. It isn’t as common in the kitchen as my other beginner herbs, it still very much, deserves it’s place in your herb garden. Bees LOVE it, flies HATE it. So you can happily attract the wanted guests to your garden whilst warding off those pesky pests. Hang dried lavender around your home and doorways and it will keep the flies away. Lavender has calming properties and is great when used in a bath or sown into a pillow to aid sleep and calm the soul. Lavender prefers a very sunny position in well drained soil. Looking for More Gardening Tips? What’s your favourite herb? And how do you use it? Comment below.